Continuing on from last week’s blog we’re staying with a wedding theme this week and pointing you in the direction of little details that you might like to consider including in your plans. Don’t worry if you haven’t finalised your theme yet – these extras sit well with any scheme and give your day a personal touch as well as an opportunity for your guests to get involved and help create wonderful, lasting memories of your special day. Weddings can pass by in a bit of whirlwind and you may not get to spend long talking to each of your guests. 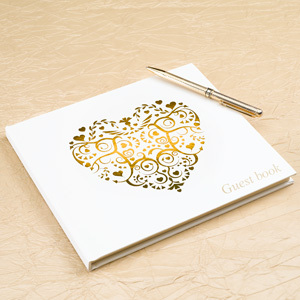 That’s where guest books come in – they provide a personal record for you to look back over in years to come and give your guests an opportunity to commit special, heartfelt thoughts down on paper. In fact you may find your guests are much less reserved than they might be face to face and many a guest book contains truly moving, poignant words of congratulations to the happy couple from their friends and family. Leave a book in a prominent place during your wedding or ask your best man or maid of honour to circulate your guest book during your celebrations. We have a selection or elegant guest books designed for use at weddings, including our sophisticated white and ivory books which sit well with any wedding theme, as well as more elaborate books from our Vintage Romance and Contemporary Hearts ranges. Your wedding photographer will capture the poignant moments of your wedding day but there’s nothing like giving guests access to a camera for a different perspective of the big day. 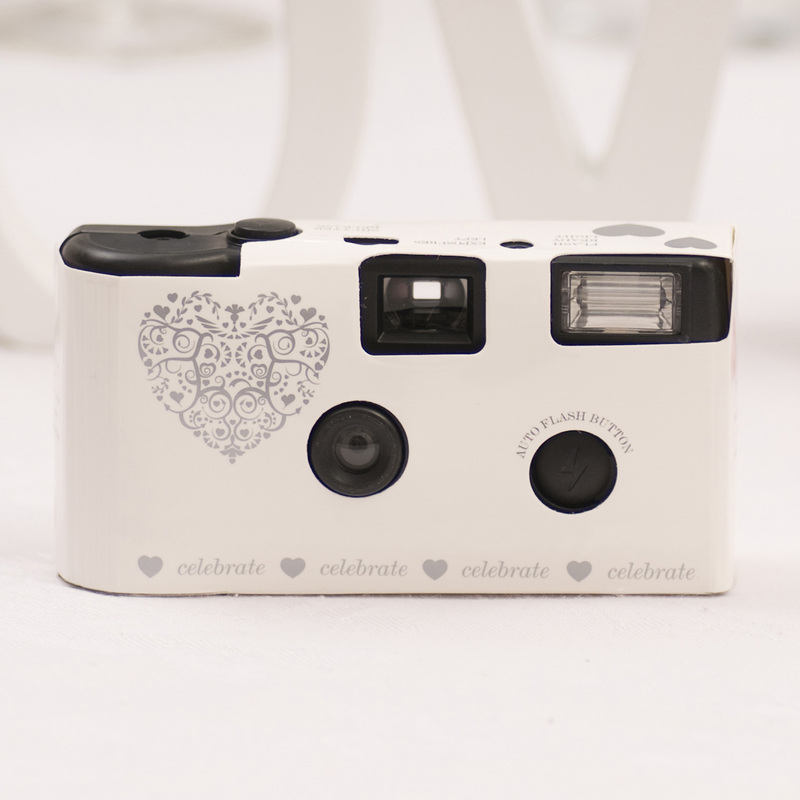 Disposable cameras are also a good way to break the ice between guests who may not know each other, adding a fun element to your party. Place a camera on each table with a note encouraging guests to snap away. Be it a picture of a baby snoozing during the speeches, a great-aunt getting down at the disco, or a goofy shot of a group of your friends, you’ll be sure to get a great selection of fun moments captured on camera to look back on. 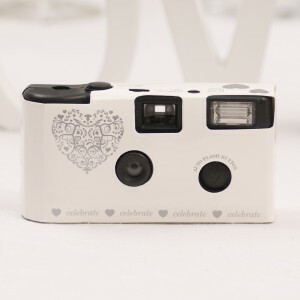 Take a look at our range of cameras which come in a variety of colours and themes. Alternatively if your budget will stretch to it you could hire in a photo booth. These have become hugely popular over the past few years and provide a really fun, interactive element to your wedding. We love the idea of providing a box of silly props – think comedy glasses, crazy wigs and silly hats – for guests to dress up with. You can guarantee your photos will certainly look different! For something no less fun but perhaps a little more tasteful, you can also hire vintage-style booths that develop photos with a lovely retro-tinged look. The trend for vintage weddings is set to continue this year, and chalkboard is a great way to tap into this style. If you’re holding your reception in a hard-to-find spot why not direct guests the right way with the use of a vintage-style wedding sign – take a look online for a range of suppliers selling both standard signs and personalised ones. Once inside the venue, continue the theme using our chalkboard place holders and table number signs. 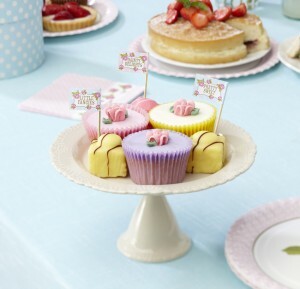 One of our favourite – and cost-effective – ideas for weddings is to swap the traditional single wedding cake (which can seem disproportionately expensive) for a selection of smaller, home-baked treats, or towers of pretty cupcakes. Set up a cake table, scattered with preserved rose petals, and arrange your different treats on vintage cake stands or plates. Use our chalkboard signs to describe each cake or simply inscribe a single sign with something witty, along the lines of ‘Eat me!’ or similar. Simple cupcakes iced in sugar pink or pure white look very cute with the addition of one of our ‘Little Fancies’ cupcake sticks. If you like this idea but are daunted by the idea of creating wedding cakes yourself, take a look at the net for tips and advice – in these tricky economic times many brides-to-be are using their own resources to come up with original but no less lovely ways to slash wedding costs so hunt around for tips and ideas from other wedding DIY-ers. Alternatively stick to can-t-go-wrong cupcakes. Make them a little more special by adding in unusual flavours to your mix, such as rose water or lemon. Or opt for simple shortbread biscuits, cut into heart shapes and iced in colours to coordinate with your theme. Confetti is a traditional wedding staple but that doesn’t mean it has to be boring. Our confetti range is truly exhaustive, featuring designs and colours to suit most weddings, from simple silver stars to hearts in bright shades to inject a real pop of colour into your celebration. Rose petals can also be used to greet the newly married couple and come in a range of hues, from delicate rose to dramatic black, perfect for weddings with a more leftfield vibe. For an easy nod to the tradition opt for our ready-made pouches and leave at the exit to your wedding ceremony venue for guests to pick up. 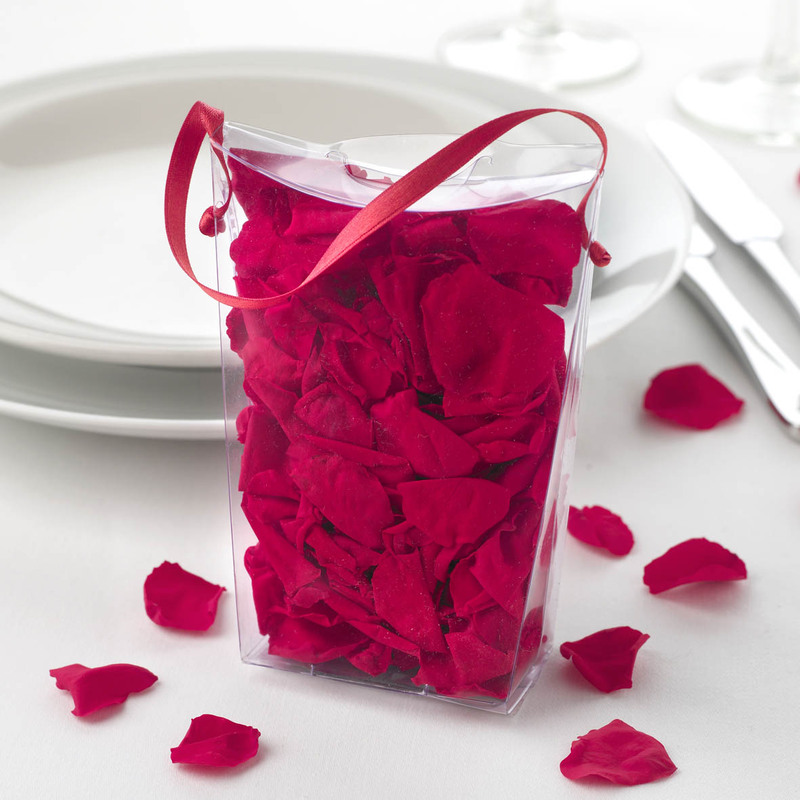 If you have time and want to add a personal touch to your confetti, buy your chosen style in bulk and make up your own bags, pouches or envelopes to hold your confetti or petals. Personalise by adding a luggage tag to bags, inscribed with your names and wedding date. For envelopes you can create a beautiful effect using vintage-style rubber stamps. Be sure to reserve a bag of confetti to add to your wedding memory box. There are lots of beautiful, quirky, unusual little touches you can add to your wedding plans and the above are just a few ideas to get you started. If you’ll be celebrating your wedding or another significant event in 2013 do pop back for ideas and inspiration – we’ll be featuring more suggestions for weddings and other celebrations in the coming months on the Neviti Blog. This entry was posted in Elegant Entertaining and tagged Cameras, Confetti, Crystal, Gold, Guest book, Ivory, love, Memories, Petals, Romance, Silver, Sparkle, Vintage, Wedding, White by Neviti. Bookmark the permalink. I’m getting married this year and love the ideas you suggest here, particularly the chalkboard signs – I’m planning a vintage-style theme and these will look fab on my tables.